I shan’t complain too much today. I am in a warm house. It’s snowing mad men outside. And I baked a cake. A cake with marshmallows on top. And hot chocolate mix baked inside. My husband blows snow (snow blows?) and I bake Hot Chocolate Bundt Cakes. Fair trade. I have to preface this by saying my Bundt pan doesn’t see the light of day too often. I pull it out once a year or so and give it a hug, but besides that, it resides in the depths of my cabinet, back with that Giant Cupcake Cake pan I swore I would use. But today I thought we needed to get reacquainted. This cake is a dense, chocolatey pound cake…although I put glaze all up on it, I also recommend adding a bit of whipped cream. I mean. But let’s start at the beginning…kay? Sift your dry stuff together. 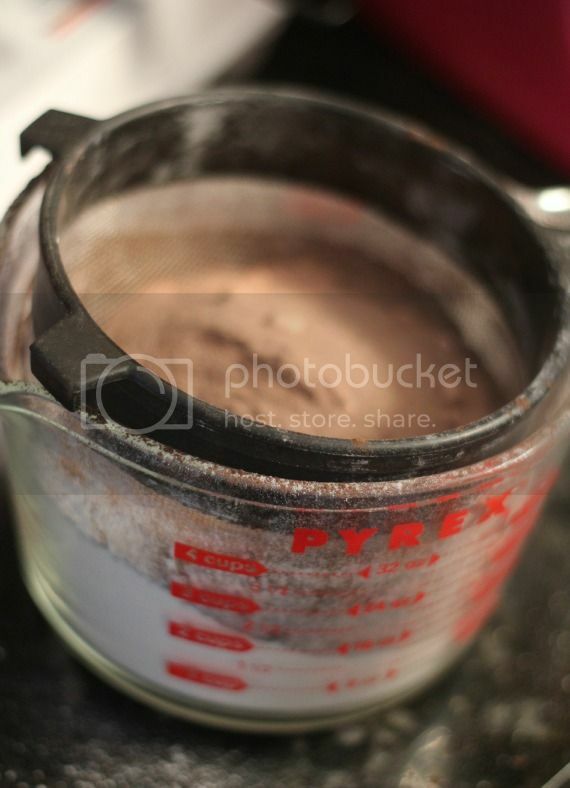 I am normally a lazy sifter, or a not-at-all sifter…but whenever I use cocoa powder I make sure to sift. Those lumps are stubborn little buggers. Next mix some butter, cream cheese and sugar together. Told you it was good. Then I decided to amp up the chocolate a lil’ bit. 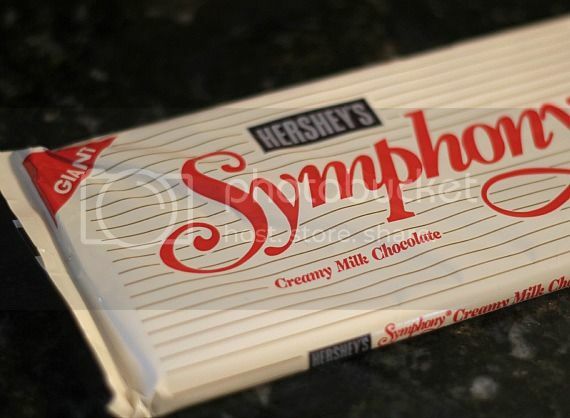 I melted 3 oz of this unassuming Symphony bar. Milk Chocolate dun done. Just mix that on it. My little helpers were ready to get in on the action for this part. They can smell milk chocolate from 100 yards away. Next, add your dry ingredients and mix it up. Spread all that into a heavily greased bundt pan. HEAVILY. GREASED. PAN. Hear me? No stuck Bundts on my watch. I think this is why Bundt and I don’t get along so well. I have had many a stuck Bundt…forcing me into Bundt depression and leading me to curse the Bundt all the way back to his cousin the cupcake pan, where they live in dark, acrimonious silence for 364 days of the year. Bake for an hour until it’s set and a toothpick comes out clean. Let it cool in the pan and then. Turn it upside down and bargain your first born for an unstuck Bundt. But let’s pretend you didn’t heed my warnings. Don’t cry or go into a Bundt-induced depression. A good glaze is a problem solver. And if you’re still feeling down? Marshmallow garnish, friends. See? It all works out. You better bet this was good. Mountain Dew Cake. Dew it. I’m sorry, there’s no excuse for that one. 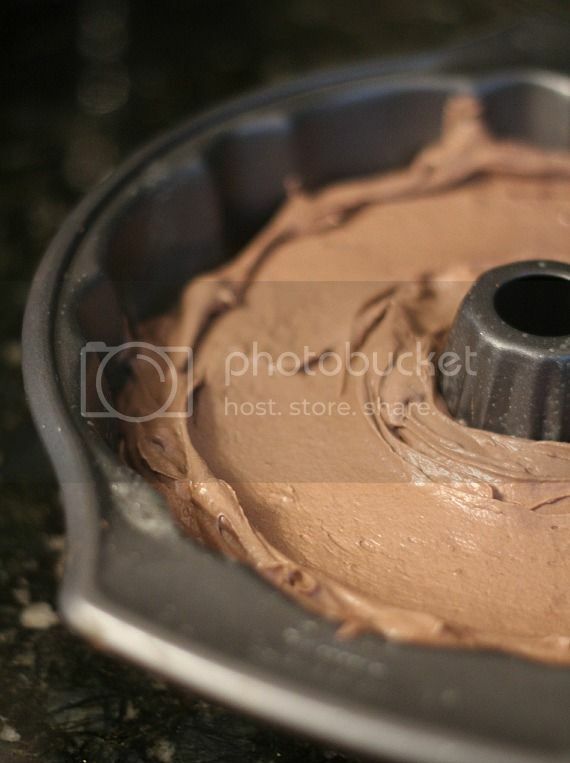 Spray 10″ bundt pan liberally with baking spray. Sift together flour, baking soda, cocoa powder and hot chocolate mix. Set aside. 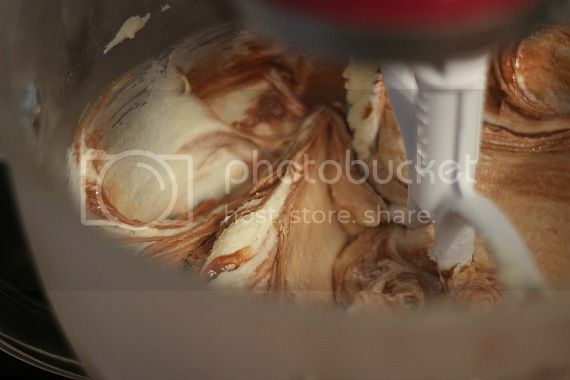 In large mixing bowl (or stand mixer) cream together you butter and cream cheese until smooth. Add in sugar and beat on medium about 2 minutes until light and fluffy. In microwave safe bowl, melt milk chocolate on 50% power in 30 second increments, stirring after each. Add to butter mixture and mix until incorporated. Add in eggs, one at a time, mixing well in between each and then add vanilla. 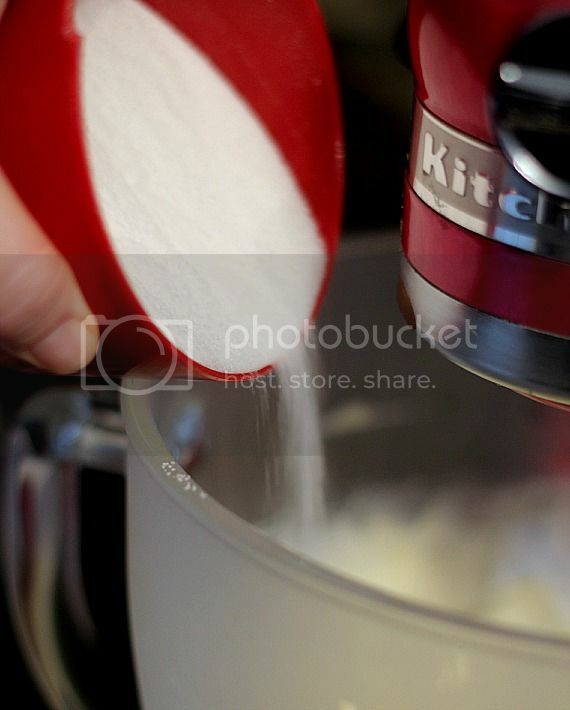 Turn mixer to low and slowly add in your sifted dry ingredients. Mix ingredients until incorporated. Don’t over mix. Fill your pan with batter and bake for 1 hour, or until toothpick comes out clean. Let cool in pan and then transfer to wire rack. 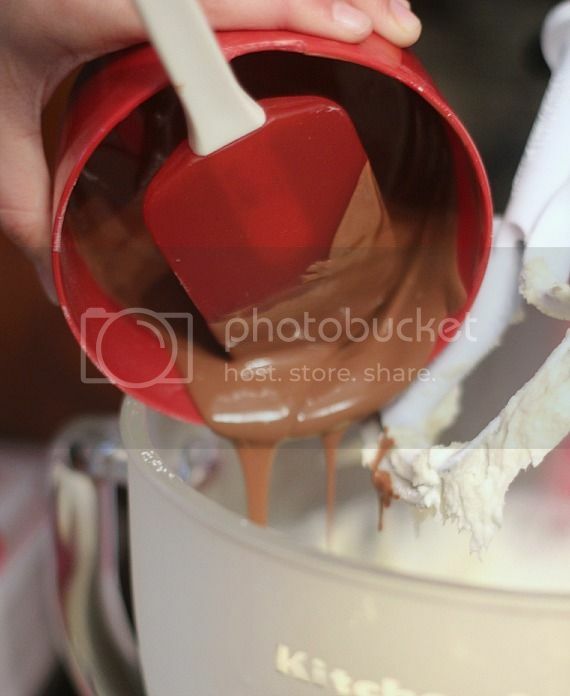 In small saucepan over low heat melt milk chocolate, 2 Tbsp dry hot chocolate mix, heavy cream and butter together until melted, stirring frequently. Remove from heat and let sit for 10 minutes. This cake almost looks too pretty to eat! 😉 I love the marshmallows on top! 🙂 SO pretty! I hope you have a wonderful New years! This cake sounds so lovely! It sounds like you and your husband have been productive today! Congratulations. 🙂 Today I ate a bag (… the big size) of M&Ms for breakfast and have done nothing since then. For some crazy reason, I have a stomachache. What cute little marshmallow bits! I didn’t even know you could buy those until now. Love these pictures! And what do you have against bundt cakes?! They’re so quick and easy. And fussless! 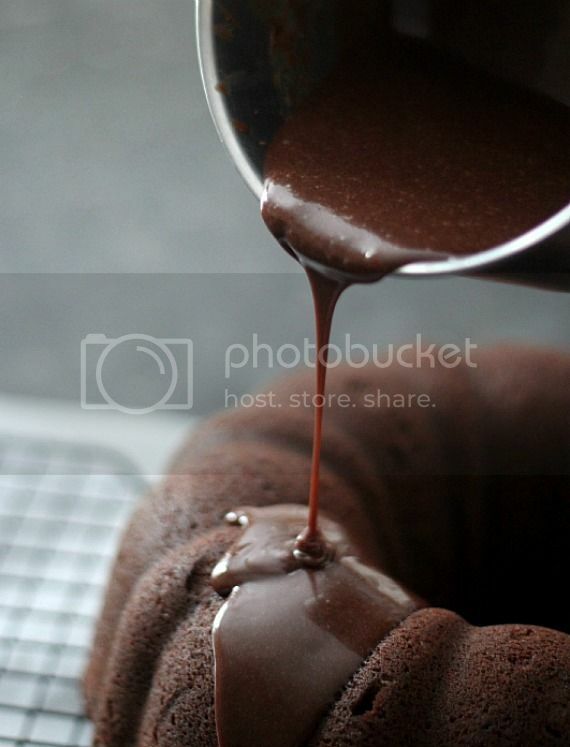 I have a similar fascination with hot chocolate mix AND the marvels of a bundt cake coming out so cleanly! I recently purchased a Nordic Ware pan after yrs and yrs of struggles. I have never looked back since…Never worry anymore. This cake looks amazing!! I swear by two good coats of bakers joy or pam with flour. I haven’t had a sticky bundt incident since i started doing that! ps i think you totally got the better end of the deal. I have an addiction to buying bundt pans….different shapes/sizes. I use Baker’s Joy and never have a problem. Most of the pans are Nordic Ware ~ I think they have great products. Wishing you and yours a very Happy New Year! I bought those jetpuff mallow bits and have been finding ways to use them. LOL This seems like a good idea! 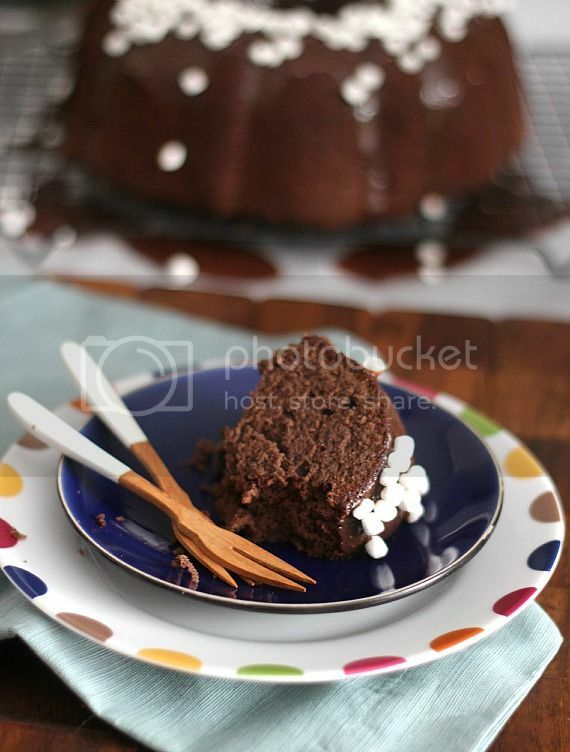 IYour chocolate cake looks Divine. I love making bundt cakes. In fact that’s about the only pan I use anymore. I very seldom use a 9×13 pan. I also have the mini bundt cake pans that makes 6 individual cakes which I use Alot. I have found when greasing a pan,especially a bundt pan or those character cake pans; I don’t use the spray. I make up my own ‘stuff” for greasing a pan and your cakes come out perfect everytimne if you grease them really well. Can be kept for three months and does not need refrigeration. Tip: Use a silicone bristle pastry brush for easy clean up. Cover all nooks and crannies to ensure that your cake pops out nicely. Mix on slow to med speed of your mixer until it is light and fluffy like whipped cream. Stores best in a sealed glass jar. I like to keep mine in the frig to prevent seperation of the oil. Works wonders on those character cake pans. Note: I mix up my batches by the cup fulls; 1 cup of oil, 1 cup flour and 1 cup Crisco shortening. I will definitely try this! Thanks! I don’t waste my money by buying the canned spray stuff anymore since I have been uysing this mixutre of which I have been using for years. Doesn’t take long to mix up and I Always have these ingredients on hand. Not just for cakes as I also use this to grease my bread pans when making banana bread, etc. Oh, Thank you for the cake recipebut do have ?. Is there a reason why it must sit tightly covered for 2 days? Does the cake get moisture within them 2 days? great cake for these snowy days! happy new year shelly! Happy 2013 and Thanks for a wunnerful Blog. You had me at hot chocolate…everything else is a bonus! Yum! I just got a bundt pan, I am kind of scared to use it. Oh yum! That is a beautiful looking cake. I have a few more of those mallos left from some holiday recipes and have been wondering what to do with them. Excellent idea! My favorite part of snow days was always coming in and having hot chocolate…and really this would be the icing on the cake. Super stunning! 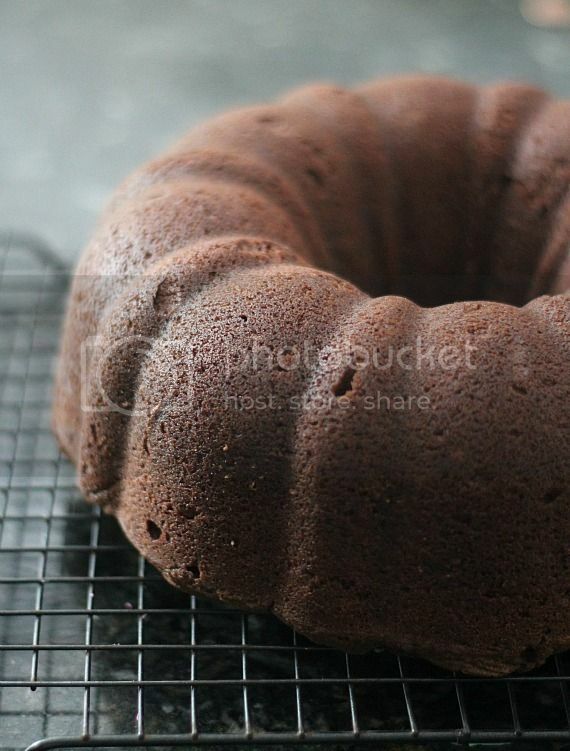 I need to get reacquainted with my bundt pan! It’s beautiful and I can only imagine how GOOD the chocolate, in so many varieties and versions, tastes! This looks like my kind of cake–THANKS for posting!! I love bundts!! I don’t make them enough too. This looks amazing and my belief is glaze fixes everything!! Can you please tell me how I could convert this to cupcakes? (Temperature/time, etc) I make cupcakes for birthdays at work and I’ve never done a “hot chocolate” cake/cupcake before and after all the pumpkin and peppermint over the last few months, I think this would be a welcome change. Don’t know about anyone else but I use same oven temperature as you would when making a cake. As for baking time for cupcakes, 15-20 minutes for baking and that’s filling the cupcake liners 2/3 full or anywhere from 1/2 to 3/4 full of batter. I let mine cool in the muffin pan for 10 minutes and then putting them onto a cooling rack until completely cool. I need this cake in my life. I’ve made hot chocolate cupcakes before and baked them in mugs, but I like the idea of a whole cake dedicated to it. I needed a reason to buy those cute little sprinkle marshmallow bits; this is perfect! Shelly, what a stunner! Love those little marshmallows! Ugh. Yes. I have made so many delicious bundt cakes that stuck to the pan. So stinkin’ frustrating. 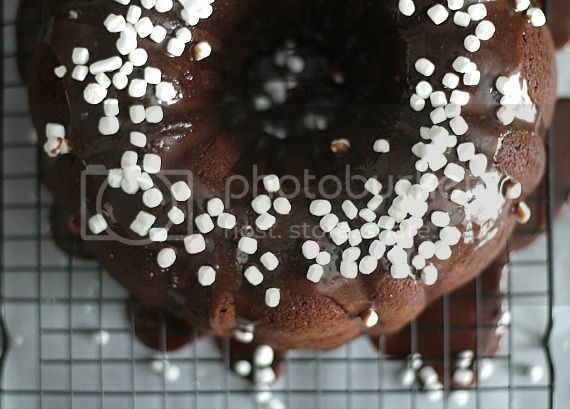 I will get my bundt pan out and I will make this cake anyway. But first I will grease the crap outta my bundt pan. My sad bundt pan is just dying to be baked in. Nothing quite like a hot chocolate dessert for a snow day! What a gorgeous thing! I love those tiny marshmallows. I always preferred those in my hot cocoa when I was younger. That is one beautiful bundt! And what a wonderful thought to be inside baking on blistery day. And what a lucky husband you have to come in from snow blowing (which sounds dirty in my naughty mind) and have this waiting for him. This looks AMAZING. Spotted it on Pinterest and pinned immediately. Yum!! Oh my gosh! If I had this cake I wouldn’t complain either =o) It looks wonderful! I just love those Marshmallow Bits!!! Oh wow, this just looks delicious!! I wish I could reach into my computer screen and grab a huge slice! Looks awesome! I would so love to try some. I am sure it tastes amazing. I’d say a warm house with a gorgeous cake inside it is a good reason not to complain! 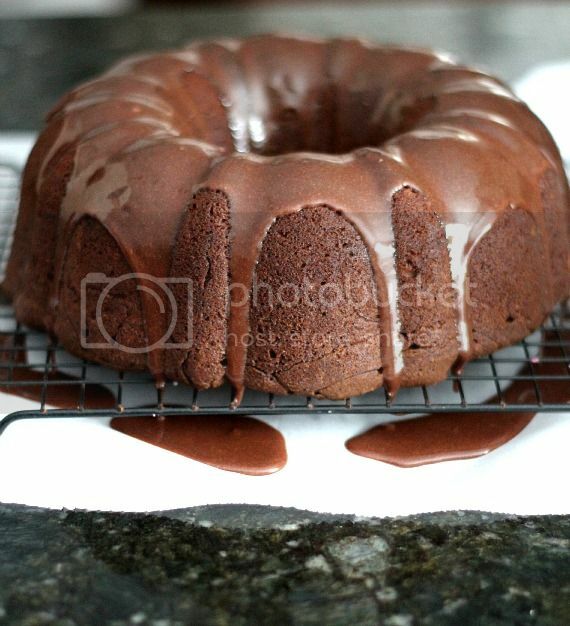 You can’t go wrong with a nice chocolate bundt cake, it was one of the things my mom would bake when I was little and I loved them. This is in the oven right now!! I’m serving it to dinner guests tonight! I just tried this tonight for a cake auction at church for our youth’s mission trip. It turned out delicious, but even though I added all the eggs, it still fell, and it took well over an hour for the middle to finish. It was quite yummy, and went for 30$. Would make again for a nice chocolate fix, though I might add chocolate chips to make it a little more chocolatey! I have too many chocolate products in my cupboard (tell me, how does that happen??!)!! I made one, took it to work – it was a hit. One or two more repeats of this recipe, and my chocolate inventory will be at a practical level. Thank you for this recipe! Hello! I tried this recipe this weekend for my son’s birthday. We loved it and it is now officially my new “go-to” chocolate cake recipe. Thank you for sharing it! It did stick to my Bundt pan a little (so the top came off a little) and it sunk a little in the middle but nothing a little glaze wouldn’t cover up. I will try some of the non-stick tips that people shared above – next time. But it was still delicious! Full of flavor but not too sweet and not too bitter. It was just right! I loved it! Oh P.S. Can I borrow a picture of it to put on my quilting blog since I forgot to take my own picture? Of course, I give full credit to you with a link. Just made this tonight, AMAZING!!! I served with my whipping cream and was so good!!!! Thanks for the recipe!! Do you have to store the cake in the refrigerator because it has cream cheese in it? Thank you! I have never store it in the fridge, but it certainly won’t hurt it if you do. Hi! Just made this and it came out very dry…has anyone had a problem with this? Should I bake it a lesser amount of time? I’m sure it would be great if it were a little more moist because it does have a nice flavor…Love the glaze too!!! I’ve made this recipe twice now, and both times the buddy sunk before coming out of the oven. Why?